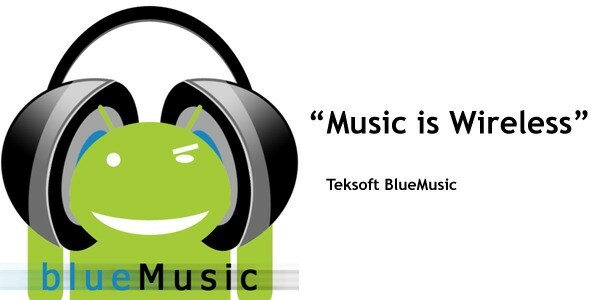 Bluemusic 3 is the latest release of the successful Teksoft multimedia application for smartphones, now available for Android OS as FREEWARE and ads free. It provides easy access to routing the audio streams from your mobile device to your Bluetooth headsets. Use your Bluetooth Headset to listen to music, podcasts, ebooks or games. For your car, you can use BlueMusic to redirect GPS voice to the car's bluetooth system. Get the audio streams back to your headset after a phone call automatically.